This image show Alex King our plaster man on far left, Neville Kidd one of our Brilliant Directors of photography and Andy the plaster man to the right. The lower part of the image shows about six pieces of the plaster dome attached together. The upper part of the image shows the structural pipe dome rigged above the plaster half dome. 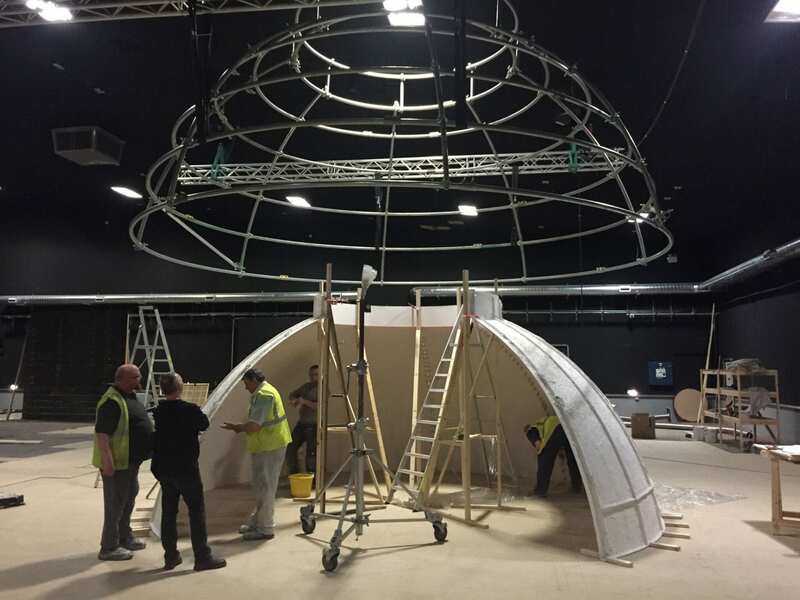 The plaster dome will be attached to the pipe dome and hoisted above the rest of the set. I know it sounds confusing, and this was the first time I have ever built a dome? Well we all know I didn’t build it…the Plaster men and Construction did a truly amazing job!!! !